with Exam Prep | PMI-ACP Certification Training | PM Career Paths | Why Enterprise Data Management? 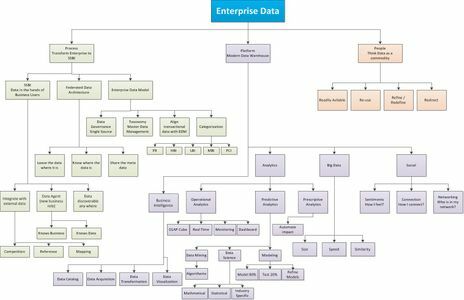 Home | Trainers, Loyalty, Other | PM Career Paths | Why Enterprise Data Management? Home | PMI(R) Certifications | PM Career Paths | Why Enterprise Data Management? picture defining the class, then click on the down arrow for dates | PMP® Certification Exam Visibility Board for the current PMP Exam | Read these PMP® Certification Prep Articles | PMI(R) Certifications | PM Career Paths | Why Enterprise Data Management? Call 360-584-8614 to Pre-Register for Training | PMP® Certification Exam Visibility Board for the current PMP Exam | Read these PMP® Certification Prep Articles | PMI(R) Certifications | PM Career Paths | Why Enterprise Data Management? During the last few years data as a commodity has surpassed the definition of an enormity. A petabyte of data is in motion every millisecond on this planet. No one on this planet can live without a touch of data directly or indirectly. In this century data is available in abundance and consumers of data know it as Big Data. Every business from small to large in today’s world is required to harness big data just to survive. Big data has become part of “air” that living things need to breathe. Just as no one can avoid air and live, so no business can avoid big data and survive. Any enterprise without data analysis, data policy, data transformation, and data intelligence will become a struggling organization. With this enormous amount of available big data, an enterprise has to change the mindset of their people so that they think of data as a commodity. Big data must be exploited, shared, and enhanced for business benefits and gains. Through Enterprise Data Management everyone in an organization is enabled to exploit, share and enhance business Intelligence (BI) extracted from Big Data. Enterprise people need training in understanding Big Data and its use. Business users need to be able to visualize and understand how to become self-served users of Big Data. To keep up with the Big Data paradigm, people’s mindsets need to change so that they believe that “data is a commodity” that must be exploited, shared, and enhanced for business benefits and gains. An enterprise has to think beyond software technology and start focusing on organizational structures, processes for monitoring, controlling, and measuring the data related issues and its governance.